Found 15 file extension associations related to Ability Write and 3 file formats developed specifically for use with Ability Write. 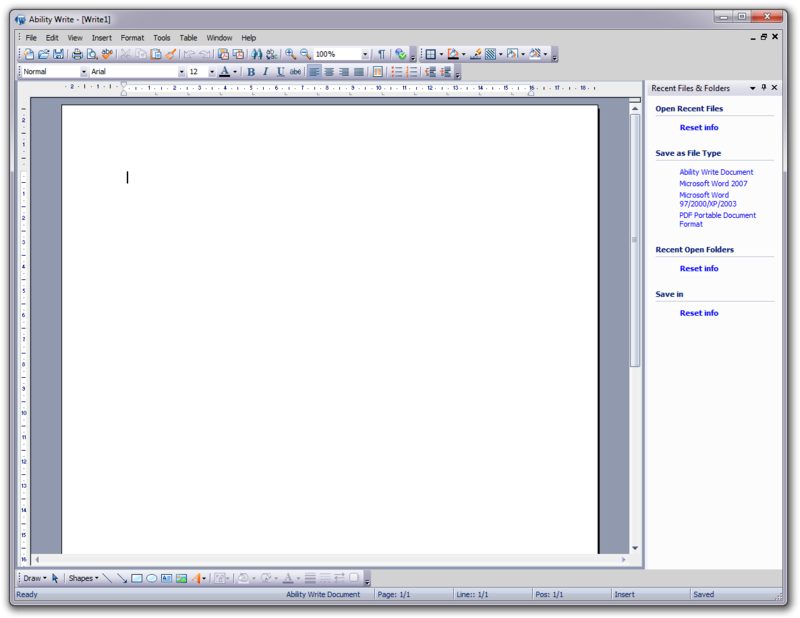 Ability Write is a Microsoft Word compatible word processor that offers users everything they need to create, edit and produce better-looking letters, reports, quotations, memos, mailings and newsletters. Write has all the features that you would expect from any top quality word processor – spell checker and thesaurus, bulleted and numbered lists, frames, tables, autocorrect, autospell, headers and footers, numerous paragraph and font options, interactive rulers, intelligent drag and drop editing, short-cut menus for easy text revision, the capacity to include graphics, spreadsheets and charts, plus a whole host of other essential features. Write also supports a wide range of file formats for export and import and is compatible with *.doc and *.docx file formats (Microsoft® Office 2010 and earlier). Ability Write is included in Ability Office Home and Ability Office Business editions of Ability Office product family. If you need more information please contact the developers of Ability Write (Ability Plus Software), or check out their product website.